Sometimes a problem is cleverly turned into an advantage. The world is indeed fortunate that barley is not much good for more than making beer. For that, it is excellently suited. Sometimes in history a problem is cleverly turned into an advantage. The world is indeed fortunate that barley is good for little more than making beer. But for that, it is excellently suited. Barley is a cereal grain, similar to wheat or oats, that doesn't mill well into flour for bread. But crushed and dried in a process called malting, it forms the perfect base for making the prime ingredient in "wort", the liquid that is fermented into beer. Barley is a cereal grain which grows as a variety of types, generally distinguished by the number of seeds on the stalk of the plant. Two, four or six seeds will be the majority of barley plants. European brewers traditionally prefer the two-row type, while American brewers more often choose the six-row. Two-row barley malts well (the process of treating with water), and has a higher starch-to-husk ratio than the four or six-row variety. This results in rich, malty brews of the sort preferred by the English. On the other hand, U.S. brewers often prefer the six-row barley more for economic reasons, but also for the higher concentration of enzymes found in it. Those enzymes will aid in converting the starch into sugars, primarily maltose, which can be fermented. The malting process starts by soaking the grain, causing it to begin to germinate. Small rootlets sprout and the grain is then kiln-dried, crushed and roasted. The way that roasting step is performed plays a significant part in determining the color and flavor of the final brew. Roasting stops the germination process, but, if stopped in time, still leaves needed enzymes active to continue the process. One enzyme in particular, diastase, is the main one responsible for the conversion of barley starch into maltose, the sugar that yeast converts to alcohol, and carbon dioxide, during fermentation. Carried further, however, roasting can destroy those enzymes but still adds flavor to the final product. Both actions are necessary parts of the process. The roasted grain then goes through a process called 'mashing', in which the starches are converted to sugars and dissolved in hot water (to make 'wort'), in the first phase of brewing. Most home brewing kits containing malt are actually dried wort. Malt preparation is a science in itself and brew chemists are continually striving to improve the process. Given the over 800 compounds in beer - many of which are contributed by the malt - that's not an easy task. Malting has a significant effect on the flavor, naturally. But even good malting processes can inadvertently add unpleasant characteristics to the starting material of beer. Malt components can cause bottom-fermenting yeast (used in lagers) to flocculate (gather) prematurely. 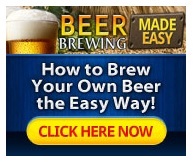 They can produce off-flavors, alter the foaming character, produce haze and even introduce toxins into beer. Flavor of beer is influenced not only by the maltose, but also by the organic acids produced from germinating. Those help balance the sweetness of the sugar with sour aspects. The bitter aspect come primarily from hops added during brewing. One of the most remarkable features of malt is how uniform brewers are able to make it, given its natural variation. Like any agricultural product, barley has components that vary in relative concentration with every farm, year and plant. Keeping one brand or type of beer the same from bottle to bottle depends to a large extent on keeping the malt uniform from batch to batch. Weather, soil management, grain size, soaking and drying time, crushing styles and much more contribute to the final result. The techniques used to accomplish uniformity would fill several volumes. So, next time you're brewing beer at home or just downing a glass at a local pub, think a moment about the starting ingredient and the effort needed to produce and use it. As grapes are to, so is malt to beer. On second thought, don't think about that.